Published Oct. 12, 2018 at 1:03 p.m. Belly up to these bar stories, brought to you by Miller Brewing Co., that explore well-loved but lesser-known taps and taverns from all corners of the city and beyond. Like so many parts of southeastern Wisconsin, South Milwaukee experienced a metamorphosis in the past decade and continues to proverbially spread its wings. In 2015, Ryan Gajevic and Dave Bagley opened The Tap Room in the business district at 1301 Milwaukee Ave. The 100-year-old corner building was originally a flower shop and butchery and, prior to becoming the Tap, a bar and grill called Johnny Mo's. "South Milwaukee is becoming more diverse when it comes to new business. Years ago, every bar was a beer-and-a-shot bar and people went to these bars because they were close to their homes," says Gajevic. "Now, people are expanding their horizons. We saw a few years ago that the area was going towards a craftier footprint and that's exactly what we brought to South Milwaukee." 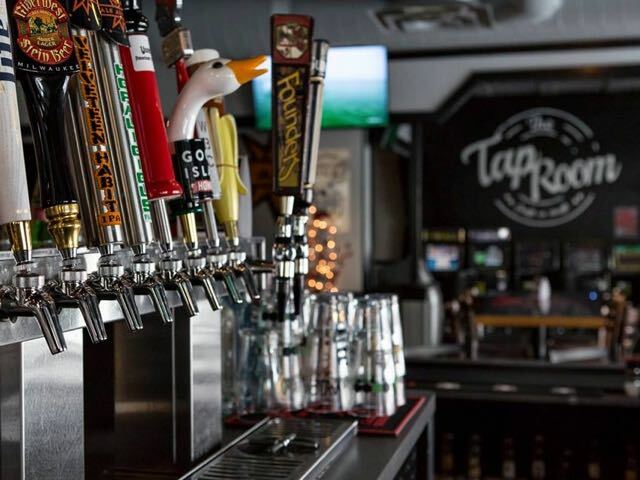 The Tap Room offers more than 80 different beers and ciders, 20 of which are on tap. The physical square-shaped bar is massive, seating 30 people and anchored in the middle of the space. Drink specials include a service industry night on Mondays and a Ladies night on Thursdays during which women can drink for free from 9 p.m. to midnight. Trivia takes place every Tuesday and Thursday and there's live music on most weekends. With 15 well-placed flatscreen TVs and a 12-foot projection screen, the Tap Room attracts hordes of sports fans for televised games. "We always give away touch-down shots," says Gajevic. UFC fights are aired monthly. There's no cover but they do take reservations because the event is so popular The Tap Room quickly fills to capacity. 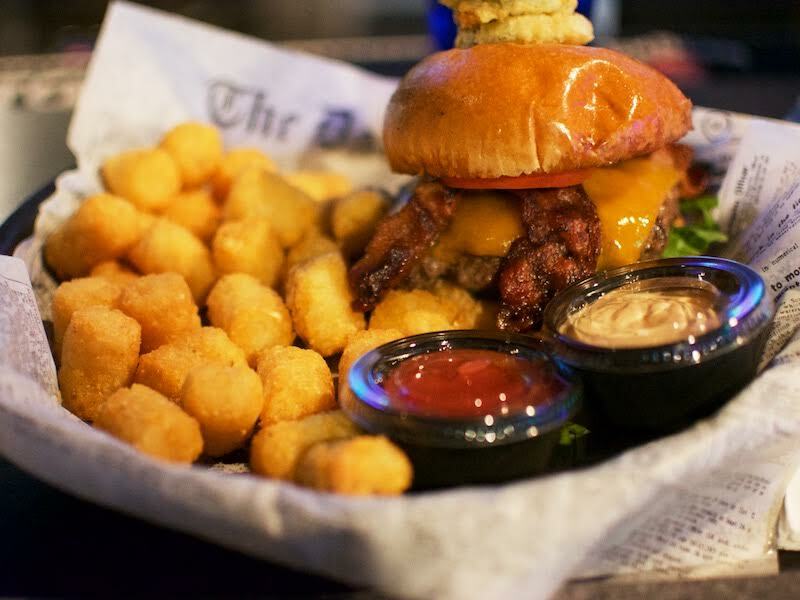 The Tap Room also offers a full dinner menu featuring appetizers like Reuben rolls, tater tots, deep fried mushrooms and hand-wrapped mozzarella sticks. 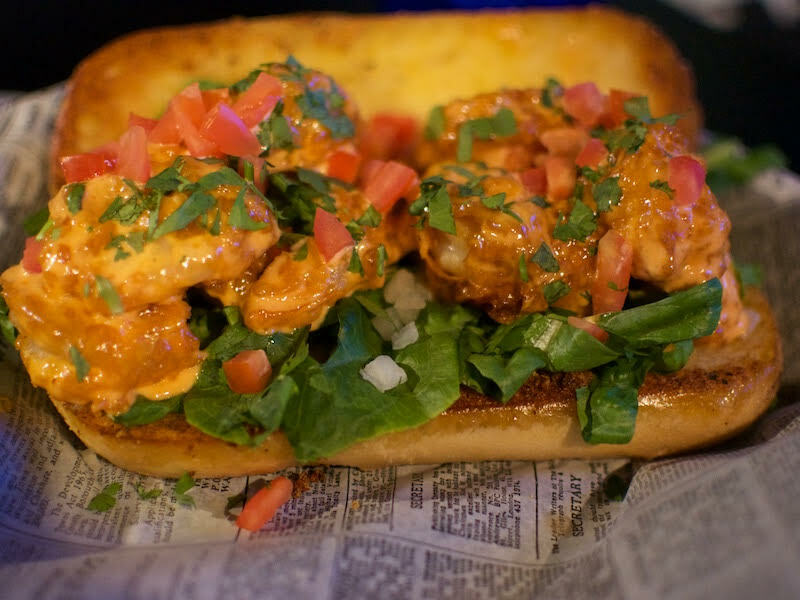 The main course includes scratch-made pizzas, hand-crafted burgers, tacos, sandwiches – including a shrimp po boy – and a Friday Fish fry with hand breaded cod and potato pancakes. "On Fridays, we get the fish fresh. Whatever is left over we make into tacos on Saturday," says Gajevic. "Customers have told me they skipped the fish fry to hopefully make sure they could get the fish tacos the next day." But the most popular menu items, according to Gajevic, are the wings, with 15 signature sauces, and the French onion soup. 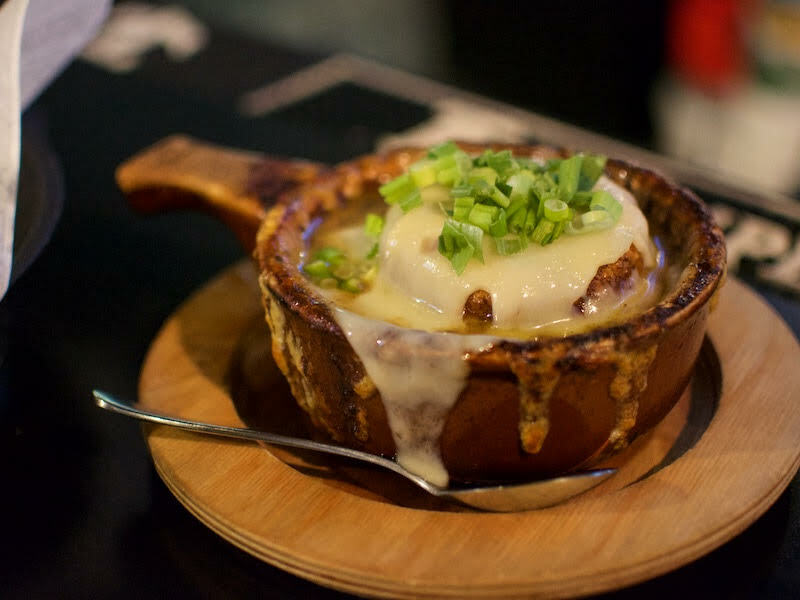 "We've won an award for our peanut butter and jelly wings and our French onion soup has been called among the best in the city," says Gajevic. Weekend brunch, which features "bottomless" Bloody Marys and mimosas for $20, chicken and waffles and biscuits and gravy, is served from 10 a.m. to 2 p.m. on Saturday and Sunday. 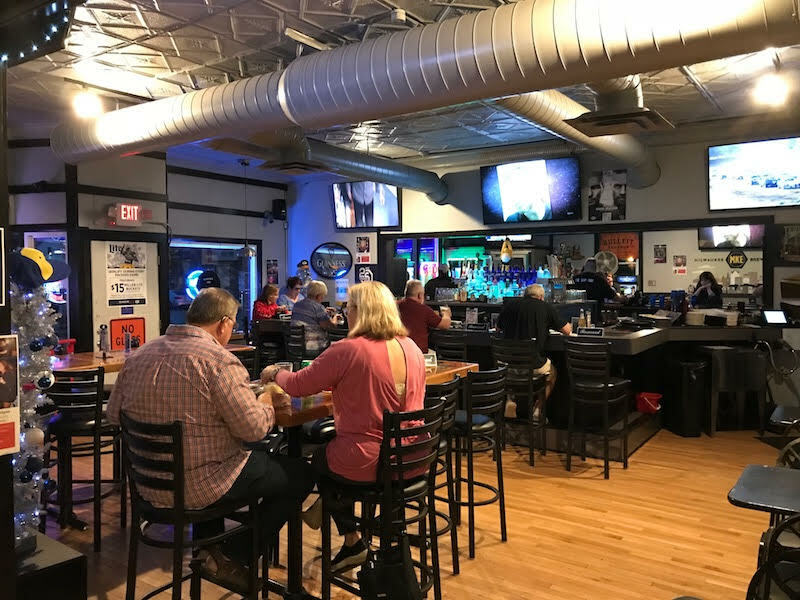 Overall, The Tap Room is a clean, casual environment with attentive service, a seemingly tightly-run kitchen and clearly a popular gathering place for people of all ages from South Milwaukee and surrounding areas. "What's happening on Milwaukee Avenue in South Milwaukee reminds me of what happened with Kinnickinnic in Bay View years ago," says Gajevic. "It's growing and changing – every time I drive around I notice a new business here – and yet it remains a really great place to live that's close to the lakefront and golf courses. We're really happy to be a part of the great things that are happening here."